I love Spring in the Kindergarten classroom. Once we get through the dreary days of March, the fun starts to happen. There is something magical about the eagerness to learn in the spring. The kids have really internalized what it means to be learners. They know how to learn and why learning is never ending. At this age, kids are so curious and ask a gazillion questions. Sometimes, all you need to do is plant a little seed and their questions will guide you to new learning. Unfortunately, I’m out of the classroom right now, recovering from my recent stroke. You can read more about that here, if you are interested. 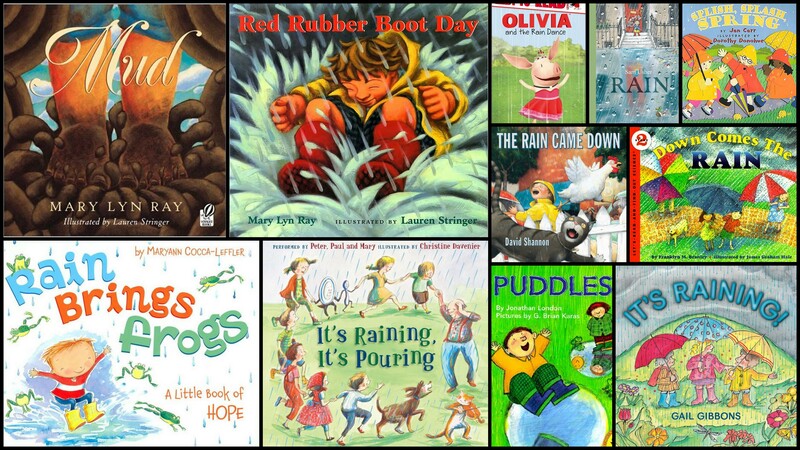 Before leaving the classroom, I had just set out some of my favorite books about rain. I knew that these were the books we’d focus on during the weeks after Spring Break. I must admit, I’m a bit of a book hoarder. These are not all of my books about rain, water, mud, puddles, and storms. These are just a few of the favorites we’ve learned from and loved. 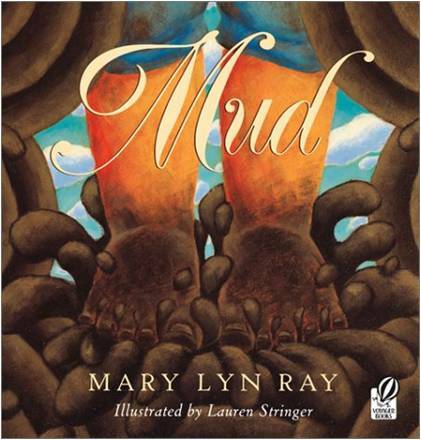 If you are not familiar with Mary Lyn Ray, she is an author to look for. I love every book she has written and the illustrations are always perfection, no matter who the illustrator is. She must be very picky about who is selected to illustrate her books. We use her books, often, when really diving into the choices authors make as they write. At this point in the year, we have gotten to know several different authors. The kids start to talk about authors as if they are their peers in addition to being their mentors, and often take off running toward their writing books when they want to try something new. 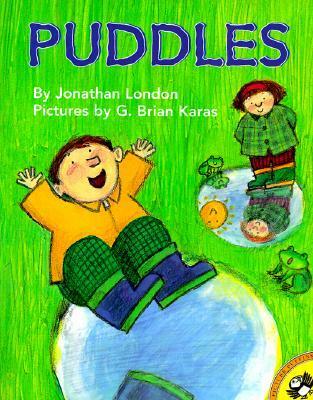 Puddles, could very well top my list of favorite books of all time. 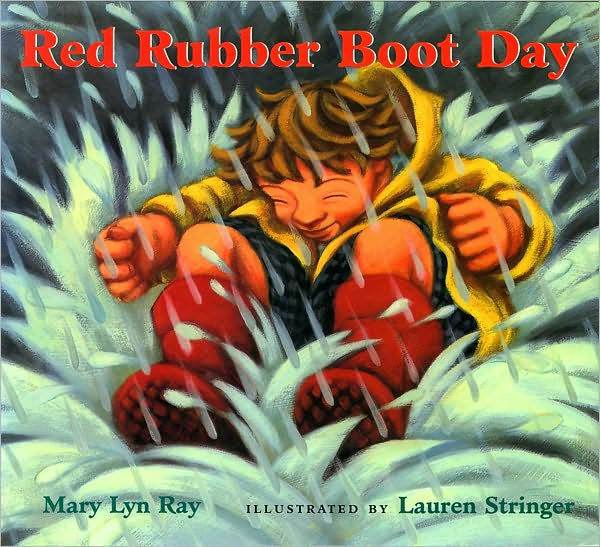 I love the illustrations in this book, the connection to mental images, and the way kids are totally engaged when we read this out loud. 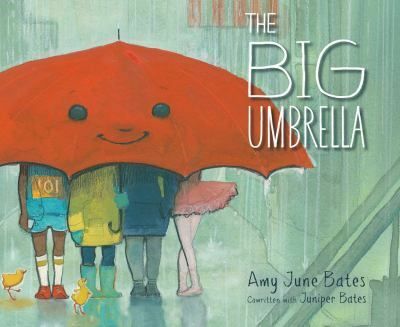 The BIG Umbrella is my brand new book about rainy days. I picked this book up at Barnes and Noble. I love that this book was written by a mother and daughter who got the idea for the book when they were sharing an umbrella on a rainy day. We live in the Seattle area, so we like to think we are experts on rain! With all of the experience we already have, the kids always have more questions. As we start searching for answers, we are finding new experiments and experiences to set up. We use our indoor and outdoor space as our learning environment. Remember, there is no such thing as bad weather, only bad choices of clothing!